The Packers are giving up nearly 9 Points, in early Odds. according to oddsshark which will fluctuate as the week progresses. The Packers also are facing a totally different team than there last meeting. 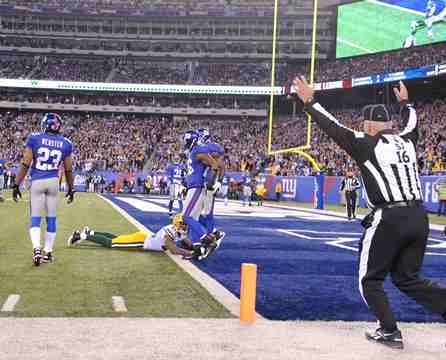 "There's more to Tom Coughlin's team than Manning and his talented pool of receivers. New York has rediscovered its defense and found its running game. This is once again a complete team, much like the team that came into Green Bay in early 2008 and captured the NFC Conference title with an overtime victory on a brutally cold evening." Now it's back to Green Bay. New York played there last season with a playoff spot at stake, and were blown out. 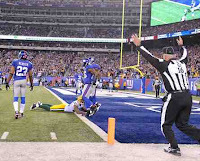 The Packers beat the Giants this season, in New York back on December 4th, 38-35 on a last minute drive, ending with a Mason Crosby 31yd Field Goal, and 0.58left. The Packers are going into the Giants game with Greg Jennings expected to play, and Clay Matthews, Charles Woodson, Aaron Rodgers, well rested, and a Lambeau Field that should be in great shape because of the beautiful weather Wisconsin has this winter.